Everyone has different opinions on internships and frankly there's not one that fits all. It depends what industry you want to work in and how much knowledge you already have, but I know for a fact that some of the ways I work have been moulded by what I did for other people and my business wouldn't be the same without that. When I was at university all I wanted to do was work, so I thought it would be best to combine the two. Any given chance I got was spent flying to and from London working for PR agencies and in house brands. My first year of university was a Fashion Photography degree, so naturally I applied for an internship at Rokit Vintage doing photography for the website. I shot hundreds of products and learned how to use a Wacom tablet to make it easier as well as uploading these. To this day I'm still grateful for what they taught me. During this month, they asked me to do some photos for the blog and the newsletters and this turned out to be something I was very very good at, so then moving onto the social media accounts and my love for marketing was born. I then went on to work for other agencies, fitting these in between my summer breaks and anytime I could basically. I interviewed people, photographed blog posts and Instagram images and even went to London Fashion Week to shoot for one of the clients. I remember at my most enjoyable internship (B.Public Relations) that the girl teaching me always wrote down and put tick boxes next to each client to make sure everything got posted. And Guess how I work now? Yep! Everything gets a tick box, even my to-do lists. So even though getting a degree was something really important and that I finally grew to love, I never in a million years would have come out with the same knowledge had I not put myself out there and learned the real ropes from the pros. 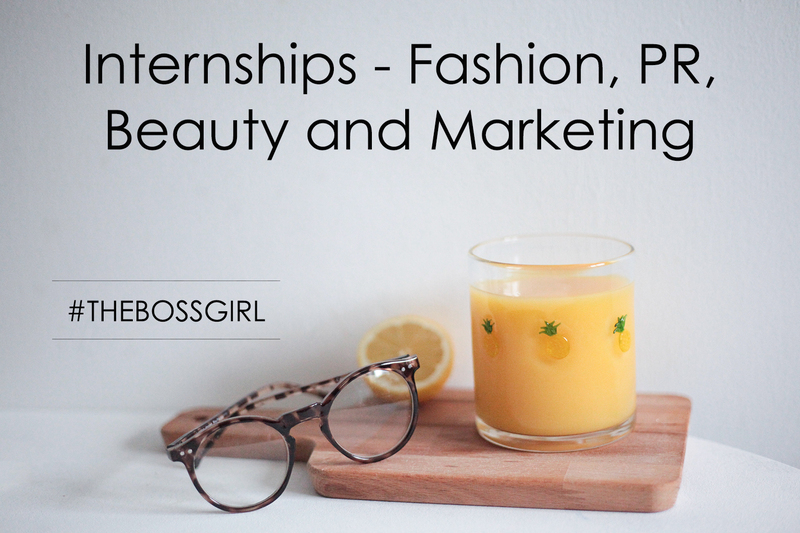 If you're thinking of doing an internship, don't be put off by working for free because one day the things you'll learn no matter how small, will build you as a working #bossgirl and help you all the way to success. Apply for everything you can and enjoy it! Good luck!